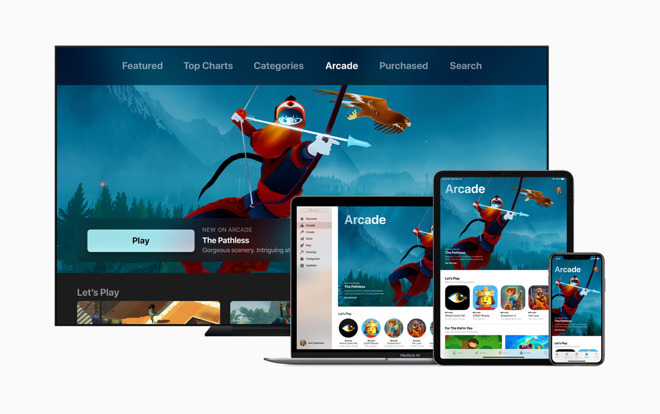 Citing titles like "Alto's Adventure" and similar paid titles, Apple says that Apple Arcade is the worlds first games subscription service for mobile, desktop, and the living room. Apple is backing development and working with the developers. 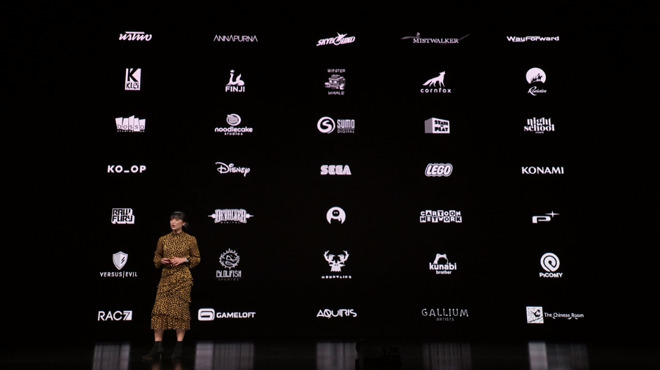 Developers listed as participating in the project are Sega, Devolver, Disney, and more. Apple notes that there will be more than 100 games available at launch. A single subscription fee will allow you to download any Apple Arcade game from the app store. The company claims that none of the games on Apple Arcade will be available on any other "all you can play" service. The iPhone, iPad, Mac, and Apple TV are all supported by all of the games on the service, and offline play is available for all titles. Game saves are in the cloud, allowing for seamless transfer of play between one device and another.